African Studies at Penn The African Studies Center at Penn is an interdisciplinary program that offers undergraduate students an opportunity to explore the historic and cultural diversity of sub-Saharan African peoples. Brussels Centre for African Studies The Brussels Centre for African Studies (BCAS) is an interdisciplinary research centre. T.
The James S. Coleman African Studies Center at UCLA The African Studies Center at UCLA was established in 1959 to further stimulate the growing national interest in the region and to develop outreach, academic, and research programs on Africa. The Center for African Studies at Berkeley The Center was established in 1979 as an interdisciplinary research center to support basic research and training of scholars. African Studies Resource Center, U. of Kansas The African Studies Resource Center represents the African Studies Council of more than thirty “Africanists” across the University of Kansas. Department of African Languages and Cultures (DALC) The Institute of oriental Studies at the University of Warsaw was established in 1922. The African Studies Program at Ohio University The African Studies Program at Ohio University, provides students, scholars and members of the broader community opportunities to develop their understanding of this important world region. The Ohio State University, Department of African-American and African Studies.The primary mission of the African-American and African Studies Department is to stimulate teaching and research about the Black experience in the U.S., Africa and throughout the African Diaspora. The IAI’s principle is “to promote the education of the public in the study of Africa and its languages and cultures”. National Consortium for Study in Africa National Resource Centers for African Language and Area Studies formed The National Consortium for Study in Africa. The Nordic Africa Institute in Uppsala, Sweden The Institute encourages and conducts scientific research and studies on Africa in the Nordic countries and promotes cooperation between African and Nordic researchers. Program of African Studies, Northwestern University Northwestern’s Program of African Studies (PAS). African Studies Center at Boston University The African Studies Center at Boston University, established in 1953. African Studies UW-Madison The African Studies Outreach Program at the University of Wisconsin-Madison. African Studies at Central Connecticut State University The African Studies Program is a part of the Central Connecticut State University International Area Studies Program. African Studies Subject Alcove (Dan Reboussin) This is the African Studies “subject alcove” of the University of Florida Libraries’ Gator Pond. Center for Afro-American and African Studies, University of Michigan- Ann Arbor The Center for Afro-American and African Studies. Committee on African Studies, Harvard U. The Harvard University Committee on African Studies is a group of scholars. appointed to coordinate teaching and research and advance knowledge and understanding of Africa within Harvard. Harvard African Studies The Harvard University Committee on African Studies. African Studies Department at Howard UniversityThe Department of African Studies at Howard. Kyoto: Center for African Area Studies The Center for African Area Studies of Kyoto University, Japan. The work of the African Studies at the University of Illinois at Urbana-Champaign is diverse. Nordiska Afrikainstitutet (NAI) encourages and conducts scientific research and studies on Africa in the Nordic countries. SOAS (The School of Oriental and African Studies) It is Europe’s leading center for the study of Asia and Africa a in London. The Swiss Society of African Studies promotes research on Africa in the context of specific disciplines The main focus is in the social sciences. Africana Collection “Home” Page provides library resources from University of Florida. African Music Archive Resources on African Music from the Institute of Ethnology and African Studies at Johannes- Gutenberg-University Mainz. African Music: DanceDrummer.com A general history of the Anlo-Ewe people of Ghana and a short paper on the function of music at funerals in Eweland. Also features movies demonstrating how to play West African drums. African Media Listings (U. Wisconsin) Media listings at the University. of Wisconsin-Madison. African Social Message Films & Videos Films made in Africa on issues such as AIDS, Women’s rights, teenage pregnancy, etc. African Videotapes and Audiocassettes, University of California Berkeley’s Media Resources Center. ArtMattan Films Production Films that focus on the human experience of black people in Africa and its diasporas. Bibliography of African Films and Videos, University of Kansas Films and Videos. California Newsreel: The Library of African Cinema Titles The country’s oldest non-profit, documentary production and distribution center on the African American experience and African cinema. Coded Messages: CHAINS Ghanaian performance group. Includes sounds , and video clips and stills from performances in Ghana. Cora Connection The Mandinka music. Cora musical instruments used. C.K. Ladzekpo Home Page Information on music and culture of the Ewe and other African ethnic groups. Films and Videos Produced by Third World Filmmakers Films and videos produced by countries in the Caribbean, Asia, Africa, and the Middle East. The Maimouna Keita School of African DanceThe Maimouna Keita School of African Dance The Company is available for school workshops, performances, lectures, festivals, weddings and other special events. The St. Louis African Chorus The St. Louis African Chorus,. Um Kalthoum – Star of the East (Borre Ludvigsen) Home page for the famous Egyptian vocalist Um Kalthoum. Zimbabwe Music Festival The largest annual gathering in North America for students, teachers, performers, and fans of Zimbabwean music. Conversions – convert to your currency instantly online. Map Quiz – Test your knowledge on Africa’s Geography at Maps.com. Surazuri Modeling Agency Kenyan based African modeling Agency. See some of Africa’s models! 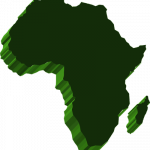 An Africa Politics Classroom Resource List covering all African countries’ resources links on politics governments… etc..
African Religions a look at traditional and indigenous Religions and Myths. OrishaNet This website is dedicated to Orisha, and other related African deities. Essay from George Washington Mellen’s 1841 book on slavery. Slavery and Anti-SlaveryExcerpts from William Goodells’ 1852 book on slavery.